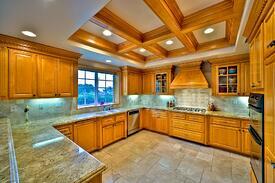 It's a fact of residential life: most kitchens are located in the rear of a home. And the rear of a home features many walls that block light. Which can counteract light-blocking cabinets from reaching the countertops, where you need light most. Optimize rope or puck lights by installing them close to the front edge of cabinets so they illuminate the countertop, not the wall. Install a thin, 1- to 2-inch valance along the lower edge of the cabinet to keep the bulbs from shining directly into your eyes. Also known as "can" lighting. Choose lighting with an adjustable or wall-washer trim so you can point light directly where you need it – and even alter it if your kitchen routine changes. This is an important feature because while recessed lights provide soft, diffused light, they're often installed around a kitchen's perimeter or in the soffits, where they illuminate cabinets, walls and even the floor. 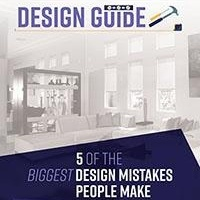 Which come in designs that complement kitchens of any style (and not just contemporary). Track lighting is versatile; it can provide general, task or accent lighting. The trick to installing track lighting is to position the fixtures so they don't shine directly in your eye – or catch your eye as you walk into the room. Angle them toward your target spot and outside of the swing of upper cabinet doors. Since they greatly affect your lighting choices. Standard bulbs cast light broadly; floodlights cast a “beam spread” of about 70 degrees; spotlights limit the spread to 20 degrees; and a narrow spotlight bulb reduces it to about 10 degrees. Also, don't underestimate how distance diminishes light capacity. For example, nearly 100 percent of the light from a bulb reaches a surface just 1 foot below it. But a distance of 4 feet cuts the percentage to just over 6 percent. Which are perhaps the most undervalued and underused lighting amenity (and not just in kitchens). Even if you've selected the wattage of a bulb with care, changing light conditions throughout the day may also change your need for light. Dimmer switches – simple even for novices to install – give you greater flexibility over all the lighting in your kitchen. 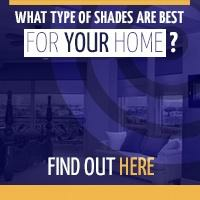 The energy level in every kitchen can be enhanced with the right interior window shades. But what's right for you and your kitchen? 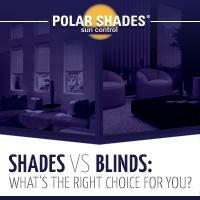 Let the window experts at Polar Shades help you decide. Depending on your kitchen's orientation to the sun, interior window shades made of opaque fabric may be best; they let in the most light. 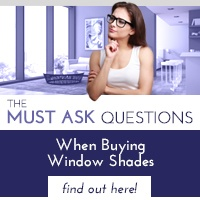 Then again, you may want more privacy, so a semi-opaque fabric might be the better choice. Call 702-260-6110 and make an appointment for a free in-home consultation – and let Polar Shades flip the switch of creativity in your mind.